When Chris Penn was a pupil at the school in the 1990s, little did he know that one day he would a Project Manager on a £14.8million scheme to bring new rail services to the south east of England. 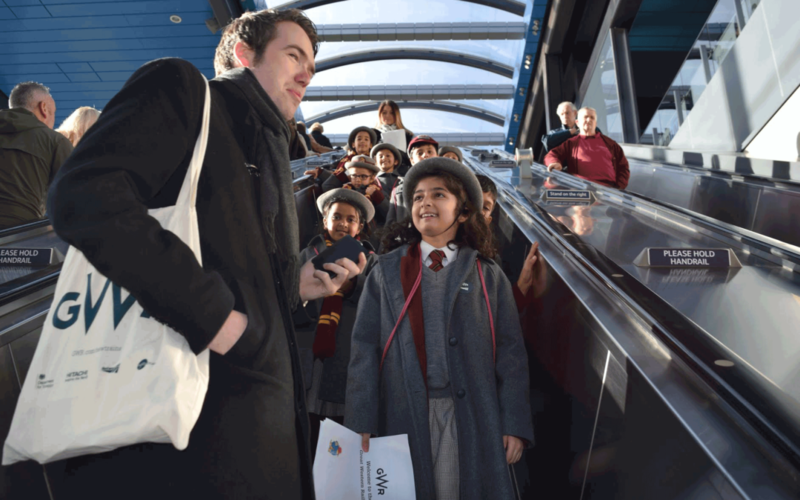 As a proud alumnus of the school, Chris was more than happy to offer his time to accompany the King’s House Science Society on a tour of the western section of the Crossrail project. On their return to Paddington the children were able to interview Chris about the project and the sites they had seen on the visit. The Crossrail Project is building a new railway, running from Reading and Heathrow in the west, through 42km of new tunnels under London to Shenfield and Abbey Woods in the east. The project is building 10 new stations and upgrading 30 more, while integrating new and existing infrastructure. The £14.8 billion Crossrail project is currently Europe’s largest infrastructure project. Construction began in 2009 at Canary Wharf, and is now almost 75% complete. The new railway will be known as the Elizabeth Line when services begin in 2018, and will be fully integrated with London’s existing transport network. It will be operated by Transport for London, with new state-of-the-art trains carrying an estimated 200 million passengers per year.